swicked wrote: It would be nice to edit again... I miss the collaborate nature of it. Well, if you have the time again, I'm sure Somber would be happy to have you back. If not, there are a lot of other authors out there who would probably like editors. Though none of the ones I've worked with, for better and worse, have had the intensely collaborative live sessions Somber does. What's Somber writing now? I haven't seen anything from him... but I've been pretty disconnected from pony fics for a bit. It's enough to be RPing one. Not sure I want to lose whole weekends again, though. By collaborative I just meant providing feedback that could be reasonably expected to be well-received. swicked wrote: What's Somber writing now? I haven't seen anything from him... but I've been pretty disconnected from pony fics for a bit. It's enough to be RPing one. Oh. Well, er, there's Homelands, one of PH's two official sequels. swicked wrote: Not sure I want to lose whole weekends again, though. By collaborative I just meant providing feedback that could be reasonably expected to be well-received. I expect he'd be pleased to have you in the comments, too, if nothing else. If anyone wants to know a thread on 4chan of all places is talking positively about PH. They even have a artist doing some requests. Huh. Thank you for the information. I'm glad Homelands is still going on, IIRC I stopped being an editor after a really long slump in releases of the story. I'm reading Speak now, and it's pretty good. Eh, I dunno about that. You're aware of how disruptive I can be. I imagine he cut his editing time in half or more between the two of us. swicked wrote: I'm glad Homelands is still going on, IIRC I stopped being an editor after a really long slump in releases of the story. Aye, I recall that too. swicked wrote: I'm reading Speak now, and it's pretty good. swicked wrote: Eh, I dunno about that. You're aware of how disruptive I can be. Still, I think that, if you want to, you should offer and let him decide; otherwise, you might both miss out. And if you don't want to approach him straight away, you could start by posting in the comments and see where things go from there. Long time no see hows it hangin? Aye, indeed; I wondered if anyone else still came here. Don't really have time for a full report at the moment, if one would even be appropriate or wanted, but overall, eh, alright, at least, I think. You? Kind of a mixed bag here. Work's a mix of okay and frustrating, as is stuff like trying to find new roommates for next year or a job for the summer. But other stuff's been pretty nice lately, apart from having the flu for half of February. Echoing Hinds, how are you? Ah, sorry about the flu, roommate, and job troubles, but I'm glad other things have been good enough to make it overall mixed. I got a new job, new house, new everything. Things are good for me. Also, if anyone wants to join another online community, I recommend godville. It's been a fun little idle game with plenty of opportunities for creative writing. My guild even has a roleplay going (though I haven't joined it yet). I'm not swicked there, though, 'cause it was passed time for a username change. Hey, I've come back after all of these years because I have a question to ask. A question I really hope doesn't get the answer I fear it might. Does anyone know what ever happened to CamoBadger? I miss him and I can't find any definitive trace of what happened to him. Figured this would be a reasonable place to ask. I'm afraid I don't know; I've lost contact with a lot of people from here, and they're one of them. Good luck to both of you. I'm leaving it here because I've messaged someone, but figure for those few wandering souls who don't have an account and might want to reconnect, its a nice chance to possibly do so. Even if you don't stay, we welcome everyone to have a look. There's a surprising amount of old names as well as new ones, and room for more, with a relaxed and welcoming environment. Who from here's on there, if you don't mind saying? Directly related to Cloudsville, we have Snipe, but I don't think anyone else. We have other longstanding names like Brisineo (very active and always producing new content), InLucidReverie (artist, inactive, but there), Jetwave (artist, inactive, but there), Zemming (inactive, but there. Book printing guy). Its not many, but who knows, maybe we'll see drips of people come along. Kippershy wrote: Directly related to Cloudsville, we have Snipe, but I don't think anyone else. We have other longstanding names like Brisineo (very active and always producing new content), InLucidReverie (artist, inactive, but there), Jetwave (artist, inactive, but there), Zemming (inactive, but there. Book printing guy). 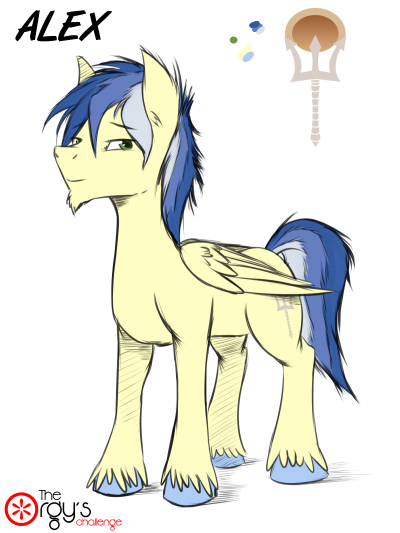 I'm not really into MLP anymore, but I wouldn't mind reconnecting with the people who I've met here. I have a Discord account, if anyone wants to know it. As for Camo, he's in with XT's discord, but I've never seen him talk to anyone. I'm mainly curious as to what happened to Robo. We used to share laughs over skype, but he one day dropped off the radar. I wonder what happened to Harmony Ltd., myself. All I know is that Frost used to talk to him a lot, but then he ghosted Harmony. I haven't heard from him in years. Scytoharmony intentionally dropped off the radar, Stringtheory used to follow me on Tumblr - though I haven't heard anything directly from him. The only one I'm in regular contact with is Tytan, and I think the only regular activity I've seen from any other person I've met on here is Sindri on tumblr. Everyone else is just gone. I could host a Discord server for anyone interested. It wouldn't even need a theme, just a place for everyone to hang out and reconnect. Aye... These things happen on the internet, of course, but still, alas. I'm not on Discord, but good luck! You might try looking on the Fallout Equestria server Kippershy mentioned, to start with, if you've not already.